Today is a day of GRATITUDE…Don’t complain…Give thanks! If you are not grateful for what God has already done in your life, why ask for more? Gratitude will open doors, while a frown will keep them shut. Have you thought about how awesome GOD IS? Have you been reminiscing about the countless times He rescued you from devastating situations? We are blessed because He took the time to care for us. He was there when no one else was, which is why we can sit in our “grateful space”, knowing that only God could bring us from where we were, to where we are today! No matter how difficult things may appear in your natural experience, never take your eyes off God. Refuse to spend your time complaining. Refuse to let your outward circumstances dictate your future blessings. Don’t allow what our physical eyes could see, to determine the likelihood of our dreams coming to pass. Refuse to let the facts determine our fruit! We could have spent our days complaining, but let’s make the choice to be grateful. When we make a commitment to spend time in our “grateful space”, it is very difficult to focus on or entertain negativity and adversity. It’s gratefulness that gets the blessing! Let’s PUSH ourselves out of complaining, worrying or wondering…into gratitude, graciousness, and thanksgiving. Why? Because gratefulness gets the blessing! Be careful when the enemy whispers in our ears that we have arrived. Sometimes, we can get so caught up in our own wants and desires that we fail to see the big picture. Suddenly, we will begin to think that we are the reason. We will believe that we are the door opener, the one making things happen. But God will not be mocked. Whatever we sow, that is what we will reap. If we sow complaints, we will reap complaints. But if we sow gratitude, the Holy Spirit will give us the right attitude! Take your eyes off your need, take your eyes off your desires, take your eyes off your wants, and focus on the Father. Focus on giving Him thanks in everything and for everything. Listen, thank Him for the trials, thank Him for the storms, thank Him for the good days, thank Him for the not so good days, thank Him for the ups and thank Him for the downs. ALL WORKING TOGETHER FOR OUR GOOD! GRATEFUL SEEDS YIELD A MAGNANIMOUS HARVEST! Think about everything that we are grateful for, because God is getting ready to flood our grateful space with abundance! IF WE ARE GRATEFUL TODAY, TOMORROW IS GUARANTEED TO BE BETTER! We have to open our eyes to what God has already provided for us. Look around and acknowledge that we are thankful for everything in our lives, even the things we do not understand. Trust that God knows what He is doing, and He is concerned about everything that concerns us. When the “lack” of yesterday tries to convince us that there is a shortage of jobs, opportunities and divine ideas, let’s point to our tomorrow where there is an infinite supply of EVERYTHING that we need. Our space of gratitude causes our yesterday to remain the former thing and allows us to embrace our tomorrow with excitement, hope, and great expectation! OUR GRATEFUL SPACE + GOD’S REALITY = ABUNDANCE! ENTER INTO THIS SPACE OF GRATITUDE… TOGETHER, LET’S BE GRATEFUL! 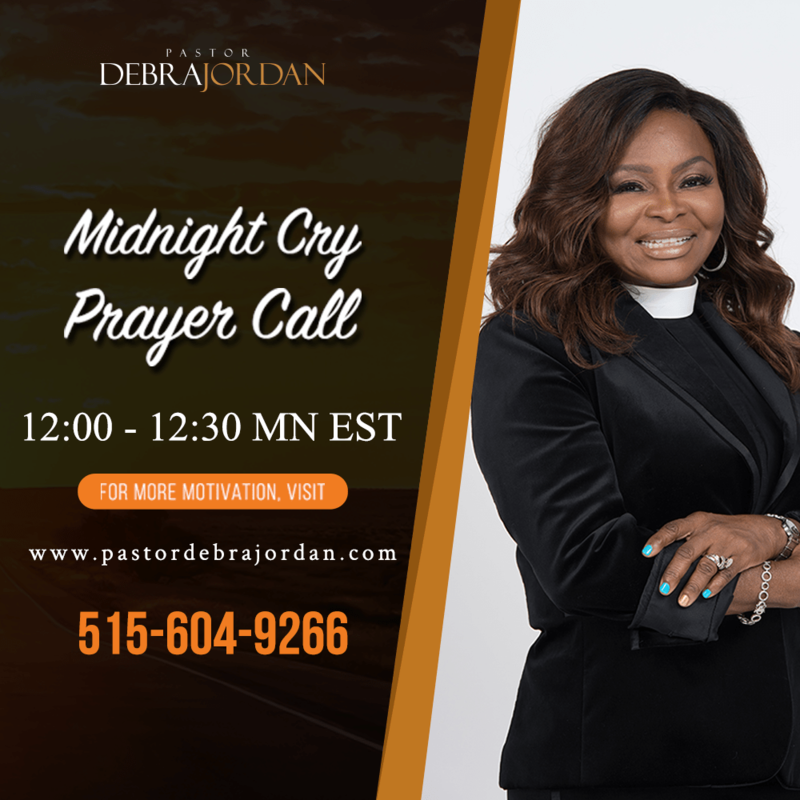 Free Prophecy, Inc., Pastor Debra Jordan, Archbishop E. Bernard Jordan and Zoe Ministries are not affiliated with MJM Ministries and/or Prophet Manasseh Jordan.